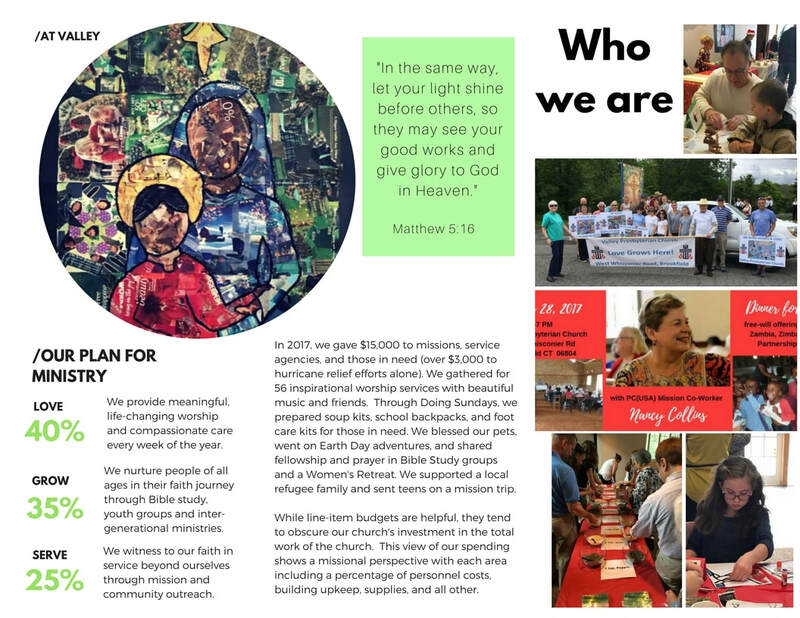 In joyful response to God's blessings, I/we make a commitment to financially support Valley Presbyterian Church. By pressing Submit, you will send your information to our Financial Secretary, Allison Gianazza, and to her only. All information is held in confidence. 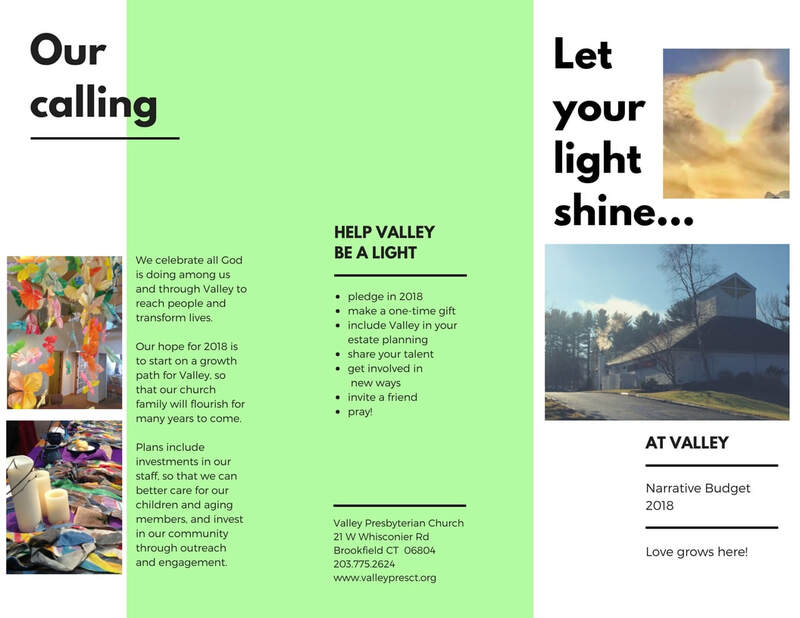 We believe our Narrative Budget offers the truest picture of the ministry and mission of Valley Presbyterian Church, and encourage you to view that below. For those of you that prefer a line item budget, it is also available.